The Philippine Competition Commission (PCC) has imposed a P16-million fine against ride-sharing firms Grab Philippines and Uber for violating the interim measures it imposed during the review period of their merger earlier this year. The anti-trust watchdog said the non-compliance of both companies has prejudiced its review process and impeded their ability to impose remedies for the benefit of the riding public. “This would include an order for them to revert to their pre-merger condition. We asked Uber to come back to the market and operate independently of Grab,” PCC Commissioner Stella Quimbo said in a press briefing held in Makati City on Wednesday, October 17. “Given the challenges, it was really just more difficult to complete the review process. We required more information, we required more analysis, we required more meetings with the parties which would not have occurred if they were able to return to the pre-merger conditions,” she added. The fines imposed against Uber and Grab are broken down as follows: P8 million on Grab for failure to maintain the pre-merger business conditions during the review; P4 million on Uber for failure to maintain the pre-merger business conditions during the review; and P4 million for proceeding with the execution of their agreements during the review period. In its resolution issued last Oct. 11, the PCC said Uber and Grab violated two of its seven interim measures it has imposed last April. These are maintaining independent business operations and other conditions (platforms, pricing and payment policies, incentives, promotions, database, onboarding of drivers, etc.) 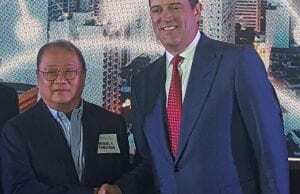 prior to the merger on March 25 and refraining from executing any final agreement or contract that will transfer any asset, equity, interest, including the assumption by Uber of a board seat in Grab. Other measures include: refrain from providing access between parties any confidential information (i.e. pricing, formulas, incentives, operations, marketing and sales policies, promotions, customer and driver database); refrain from imposing exclusivity clauses, lock-in periods and/or termination fees to drivers; refrain from acts that may lead to reduced viability and saleability of businesses; refrain from acts that will prejudice the PCC’s power to review the transaction and impose remedies; and refrain from performing any act that may lead and/or further lead to the consummation of the transaction. The commission approved the acquisition deal between Uber and Grab last August 10. This was made after Grab submitted its voluntary commitments to the PCC which includes improving the quality of its service, particularly response time to rider complaints. Grab fares shall not have an “extraordinary deviation” from the minimum allowed fares, which are set by the Land Transportation Franchising and Regulatory Board. The deviation should not be more than 22 percent of the fares before the acquisition of Uber, according to the PCC. The firm also assured that it will provide a breakdown on fares on electronic receipts to its riders. The receipts will include the distance, fare surges, discounts, promo reduction, and per-minute waiting charge. Grab will also remove the “see destination” feature for drivers with low ride acceptance rate. It will not introduce policies that will result in drivers and operators being exclusive to Grab, to allow them to register with other ridesharing companies through a multi-homing scheme.